His performances capture the depth and passion of the great man he was so heavily influenced by. 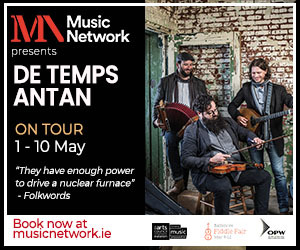 Over the past sixteen years he has amazed audiences abroad and has sold out prominent Irish venues such as Vicar Street & The Cork Opera House, with the regular attendance of Luke Kelly’s family. Chris released his own album of original material “Voice Of The People” in 2011 and shortly afterwards performed with The Dubliners for two weeks on their German tour.